Meryl Streep is an academy winning film actress famous for her roles in movies like Sophie’s Choice (1982), Out of Africa (1985), Kramer vs. Kramer (1979), Mamma Mia! (2008) and The Iron Lady (2011). She is considered as one of the finest actors to grace the cinema screen. She has received an astonishing 17 Academy Award nominations and has won 3 out of them. She also has received 27 Golden Globe nominations out of which she has won 8. She was awarded the American Film Institute’s prestigious Life Achievement Award and also the 2010 National Medal of Arts. 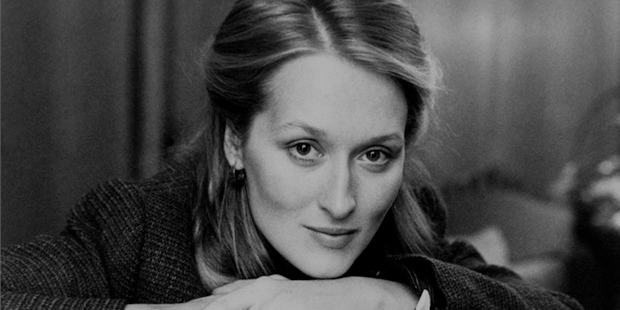 Meryl Streep was born on June 22, 1949. She was born in Summit, New Jersey to Mary Wolf and Harry William Streep Jr. Her mother was a commercial artist and art editor whereas her father was a pharmaceutical executive. She has two siblings, Harry Wiliam III and Dana David. She grew up in Bernardsville, New Jersey where she went to Bernards High School. She received her B.A. in drama from Vassar College in 1971. She also earned and Master of Fine Arts degree from the Yale School of Drama. Streep started off by acting in several theatre productions in Ney York and New Jersey. She starred in a Broadway production called Alice at the Palace for which she won a Broadway theatre award as well. Soon she started to audition for film roles. She was rejected as the female lead in the movie King Kong but got her break through the 1977 release ‘Julia’. Her role was a short one but she wanted to keep on working even if they were insignificant roles. She was cast in ‘Deer Hunter’ in 1978. She also played the leading role in television miniseries ‘Holocaust’. ‘Holocaust’ had an estimated audience of 109 million which brought her lots of public and critical attention. Now both producers and directors were waiting to see how she would be able to do in the film industry. Her role in the ‘Deer Hunter’ was well appreciated and she was nominated for the Academy Award for Outstanding Lead Actress. Soon more opportunities came her way which she grabbed with both hands. She starred in movies like Manhattan, Kramer vs. Kramer in 1979 which went on to get her high critical praise for her versatile performances. She won an the Academy Award for Best Actress for Kramer vs. Kramer. Now she had achieved the attention of the national audience with her performances. Film critics and audience alike were waiting to see more of Streep’s versatility on the big screen in the years to come. She was cast as a Polish holocaust survivor in Sophie’s Choice (1982). Her performance was well received and she won the Academy Award for Best Actress a second time. She followed this with the success portrayal of the activist Karen Silkwood in the biographical film Silkwood (1983). Next she did films like Falling in Love, Plenty, Out of Africa, Heartburn which all got positive reviews from critics. She was still looking for a variety of roles and didn’t limit herself to commercially successful movies. She continued her success into the 1990’s and 2000’s being part of successful movies like The Bridges of Madison, Adaptation, The Devil Wears Prada, Mamma Mia and Julie & Julia. Mamma Mia was her highest grossing movie with $602.6 million. In 2011, she played the role of Margret Thatcher in the movie ‘Iron Lady’. Her role was well appreciated and this brought audiences flocking to the theatres even though the overall movie was not so good. She won the Academy Award for Best Actress for the third time for this role. Meryl Streep has been a symbol of determination who had added life into the film industry with her variety of roles. Her decision of choosing unconventional roles every time is an extension of her personality. She has been good at taking risks and putting whole efforts to make it successful. The amount of care she had taken in preparing for each role is an ode to her achievements. She has taught the world to take risks and have faith in oneself as the easiest way to achieve success in life.